It’s that time of year again! The fall semester is about to begin, and campuses are buzzing with the excited anticipation that a new academic year brings. Whether you’re a first-time college student, returning student, transfer student, or a student about to graduate — here are five proven steps you can take to set yourself up for one of the best semesters ever. Make a list of specific, meaningful, and measurable goals for your semester that you can reasonably achieve within this limited timeframe. Make your goals relevant to your long-term career plans. Read your SMART goals every day to reinforce your commitment and hold yourself accountable for following through. Find a weekly or monthly scheduling solution that works for you, whether it’s a digital app that helps you manage your class schedule, teacher contacts, and upcoming assignments and tests such as iStudiez Pro, or a poster-sized month-at-a-glance whiteboard or paper calendar. Input all the important assignment and tests dates from each class syllabus into your tracking tool of choice. Putting everything you need to do on a daily basis in clear view helps you stay motivated and focused on your goals. Be proactive about introducing yourself to your new professors. Drop in during office hours to ask questions about the course and share your academic and career goals. A warm relationship with your instructors goes a long way toward helping you be successful, not only in their courses but also down the road when you need a letter of recommendation for graduate school, a fellowship, or an internship. In addition to familiarizing yourself with the free information available to you at the campus libraries, computer labs, career centers, and tutoring and writing centers, be sure to attend any orientations your school offers for new students. 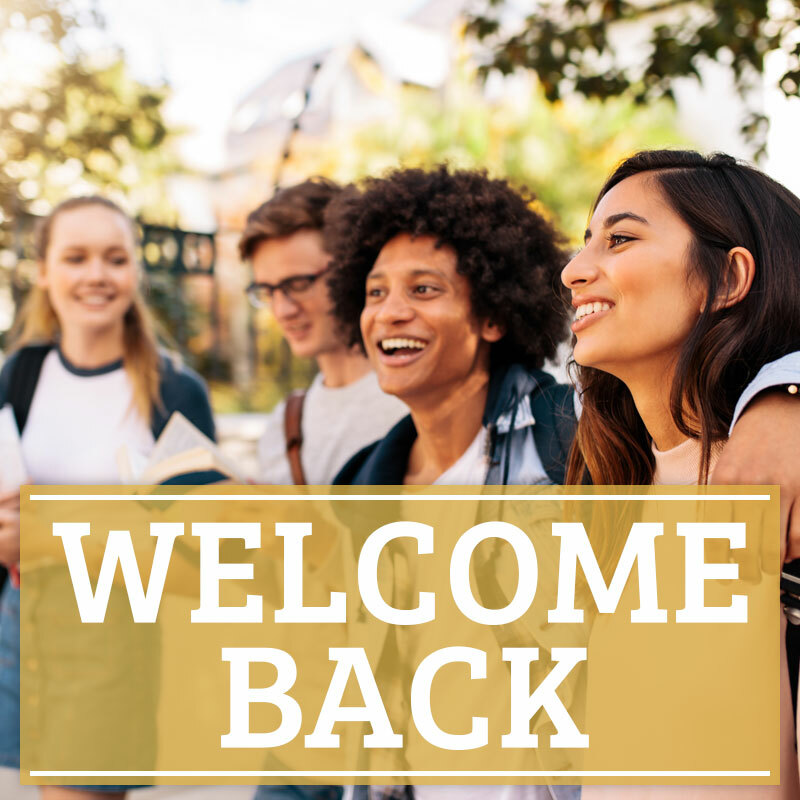 Here at Geneva College, we devote several days to helping our new students feel welcome and require a semester-long Learning and Transitions course to fully acclimate them into college life. Our Center for Student Development plans exciting activities and learning opportunities during Welcome Week, giving both freshmen and transfer students a chance to connect to our community and transition into college life. Returning Geneva students can benefit from hundreds of activities – from nationally known speakers to adventure fun – and dozens of clubs, but only if they take advantage of the opportunities. Developing excellent self-care skills in college will help sustain you throughout your academic years and set a solid foundation on which you can build your future. Nourish your body with healthy foods, even if it means scheduling time on your calendar for grocery shopping and cooking. Carve out blocks of time for exercise. Not only does it help you maintain a healthy weight in college, exercise improves memory and focus and relieves stress. As tempting as it will be to skimp on sleep, don’t do it. Research proves that young adults need at least 8 hours of nightly sleep for optimal functioning. Trying to catch up on the weekend by sleeping in till noon does not make up for a deficit. Schedule “down time” in which you read scripture, meditate, take a gratitude walk, or just sit in nature and reflect. This is just as important as studying and helps you stay balanced and centered so you don’t burn out or lose perspective. If you’d like to learn more about the biblically based, Christ-centered education at Geneva, we’d love to explore the possibilities with you. For more information on how Geneva College can help you pursue your career goals, please phone us at 855-979-5563 or email web@geneva.edu.